Imogen's Typewriter. 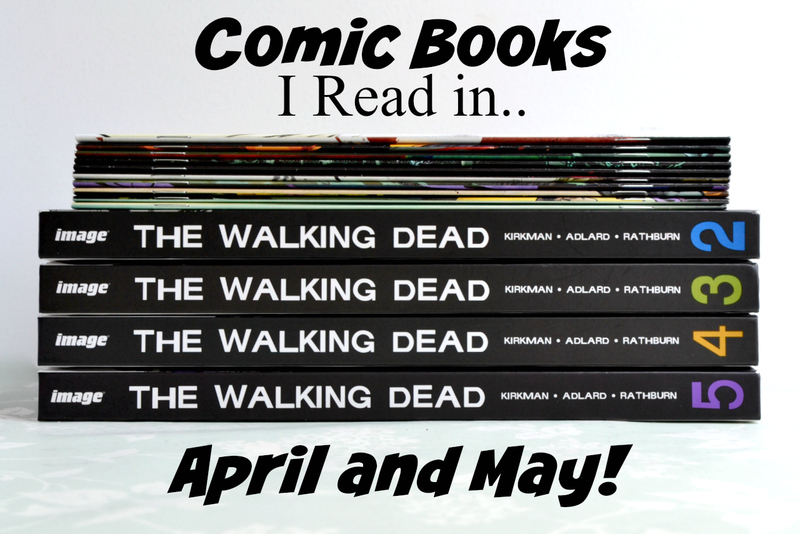 : Comic Books I Read in.. April and May! I feel like they upped the gore in this one. At one point, a zombies guts were trailing behind it, got caught on the ribcage of a dead zombie, and it fell over. I felt bad for laughing. If they put that in the show I wouldn't be so mad about the season 6 finale cliffhanger. Hardcover 2 covers the beginning of season 3 pre-Governor for those show watchers out there. It also introduces my favourite character; Michonne. This series continues to pull no punches and test out apocalyptic scenarios. What's it like being in a prison surrounded by zombies? "Yeah, hopefully it's just full of flesh eating monsters and our baked beans are still intact in there." The Governor is a thousand times more terrifying in the comics than in the show. This hardcover especially needs to come with a warning sign for some pretty hefty triggers because damn. Everything the Governor threatens in the show, he actually does in the comic and more. Up until this point it was more humans vs. zombies, this issue the humans vs. humans part of the apocalypse comes into full effect. Prepare to be terrified. "I don't consider paying attention to be something special just because most other people don't do it." And we finally reach the end of season 3 in comic form. I love how they spent six comic arcs really fleshing out the time at the prison, because the show rushed through the time there. Think about how perfect a prison is in this situation; three layers of fences, towers that you could see for miles around from, weapons, prison cells to lock yourself in if it was over-run, food, space to grow vegetables. If I was in a zombie apocalypse, a prison is where I would go and that was really fleshed out. Also- this ends with the most brutal death. I may have cried. "I could if I wasn't fuelled by testosterone and stupidity." The characters went through some major transformations in these arcs. It was nice to get to focus on them separately rather than one big group, however briefly. Especially dealing with last issues death, I don't think I've ever wanted to reach into a comic and give a character a hug so much. And Abraham is one of my favourite characters in the TV show, so I was pretty excited when he showed up in the comics. I kind of forgot when he came in. He's a strange dude. "I never liked reading before. I never did it. It's been a long time... But it might be more fun than video games." Most of my single issue comic books are packed up and out of reach because of the redecorating so when I got that urge to pick up a comic, the only ones I could get my hands on were these. And boy am I glad for my disorganisation because I flew through these in an evening. 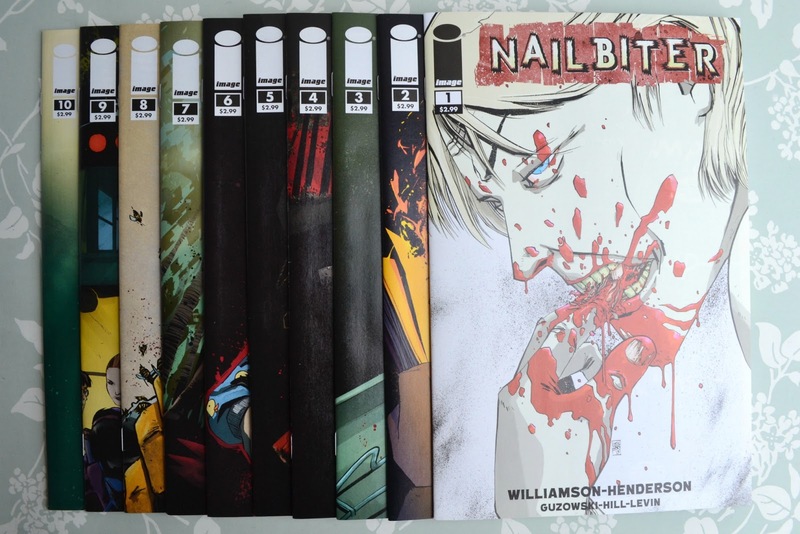 This is a horror comic that really plays on a lot of the horror genre clichés. And it works. A town that somehow creates serial killers then releases them on the country? An FBI agent who disappears while researching why? A failure of the justice system releasing one of the serial killers back into the small town? Drama! Brian Michael Bendis (writer of a lot of comics including some at Marvel) shows up as himself in issue 7 which was amazing as well. Very meta. I think this is kind of a niche interest- serial killers, horror comics, that old school vibe, but if you're into that then this is a must. I'll be picking up the next issues when I can! Have you been reading any comics lately? 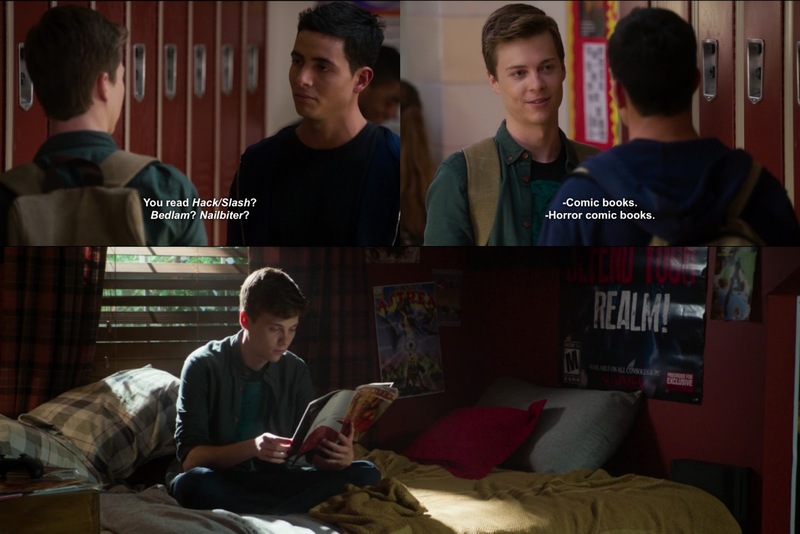 Labels: Comic Books, Comic Books I read in….